National Drive Electric Week, September 15-21, 2014, is a nationwide celebration to heighten awareness of today's widespread availability of plug-in vehicles and highlight the benefits of all-electric and plug-in hybrid-electric cars, trucks, motorcycles, and more. They are fun to drive, are less expensive and more convenient to fuel than gasoline vehicles, are better for the environment, promote local jobs, and reduce our dependence on foreign oil. 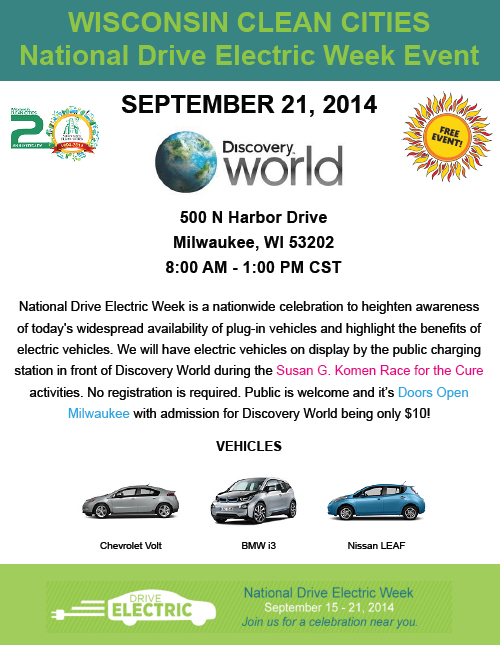 Electric vehicle showcase including a Chevrolet Volt, Nissan LEAF and BMW i3. 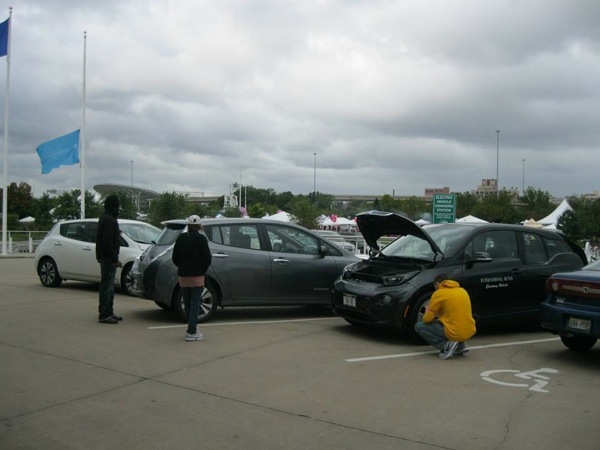 Hands-on experiences with electric vehicles. Tons of information on vehicle availability, pricing, charging, and more! Registered attendees report 17,000 electric miles driven.